It’s Crunchy Asian Coleslaw time! This salad is a go-to favorite of ours all year long but the recent string of beautiful New England summer days is making me crave it even more! Blue skies, warm sun, eating outside…. 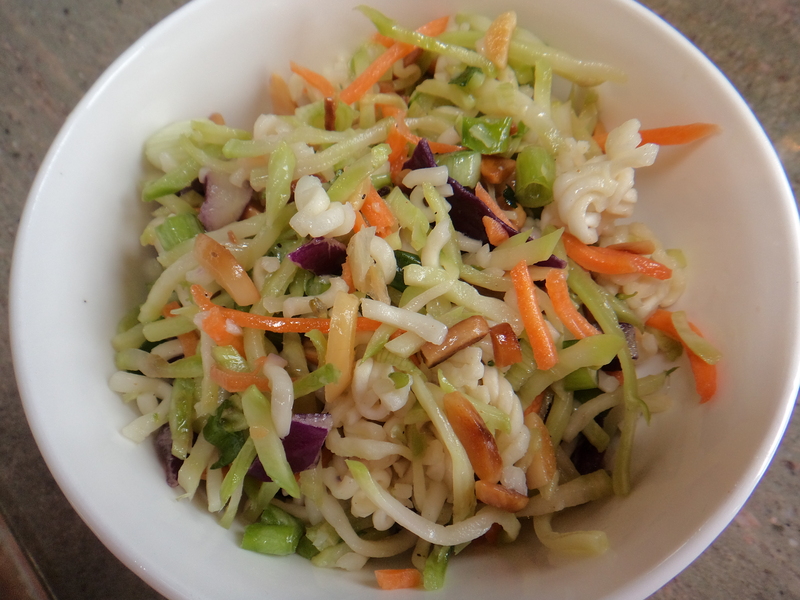 time to bring out some classic summer recipes and we still love our classic Asian coleslaw!! One of my favorite side dishes … great served with cod, haddock, salmon, chicken, pork, or my kids love it paired with potstickers 🙂 For a main dish, just add chicken and serve. I always make a double batch of dressing, toast up half a bag of almonds, and cut up the whole bunch of scallions then store them in the refrigerator. I can then whip this recipe up in just minutes! In small bowl, mix rice wine vinegar, canola oil, sesame oil, sugar, pepper, and I just use half of the chicken seasoning packet from the ramen noodles. Mix ramen noodles, chicken, almonds, green onion, and coleslaw together. Add dressing. Chill 30 minutes turning occasionally. Then enjoy!!! Would you like to start the buying process? Which towns and price range? Are you interested in selling your home? Please include your address if you would like include some preliminary information on sales data. Previous PostAnother Happy Customer (and Realtor! )Next PostNorton 3BR, 1.5BA Townhouse – Great Value!